I have a lifelong love and connection to Van Gogh's work that will be with me until my dying day. That being said, Can you resist this kitty? 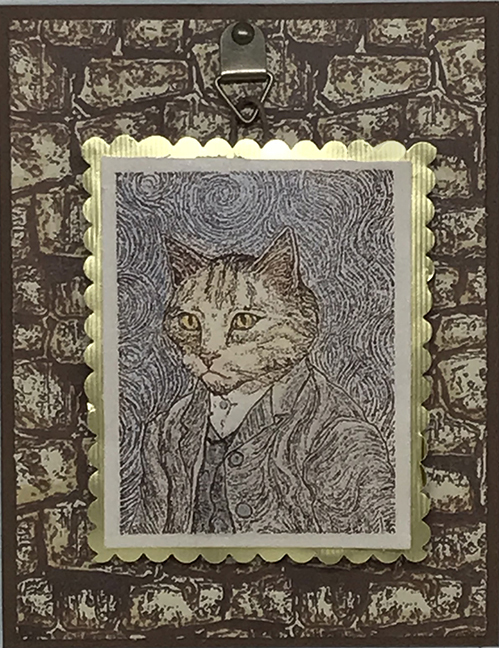 I just had to turn this into gallery-style "painting", complete with a high-value "gilded frame," a "hook" to hang it on, and an old-world "wall" for display. The Van Gogh Kitty, and the Stone Wall stamp were just introduced to the Technique Junkies Stamp Line in February, and are on 15% off through February 8th. Just add it to your shopping cart and it will be discounted automatically at checkout. Won't you Van-Geek out with me? February New Release and Blog Hop! 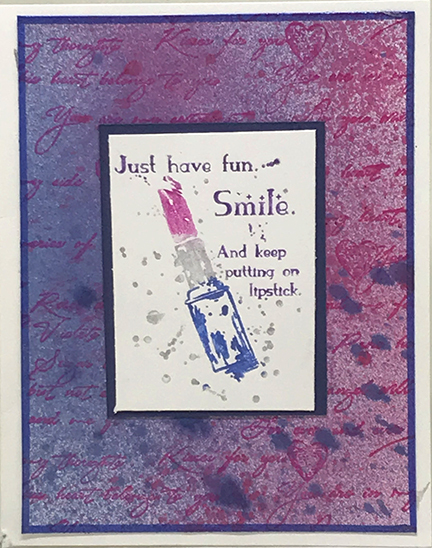 It is February 1st - and that means that we have added new stamps to the Technique Junkies line-up! 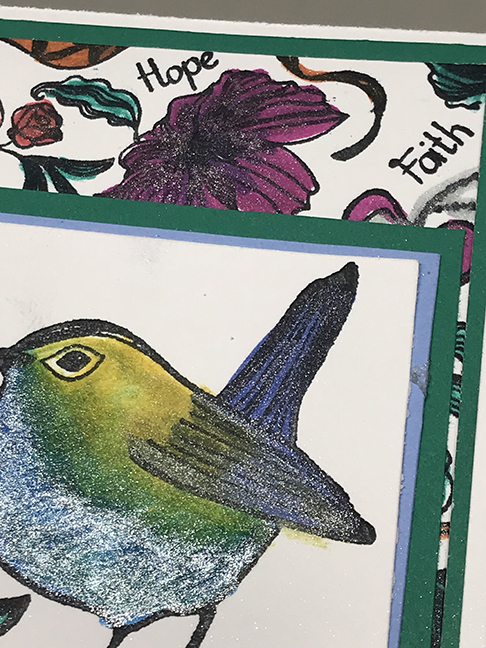 Today we have been celebrating the release with a blog hop, and you have reached the last stop. If this is your FIRST stop, I suggest you start at the beginning so that you can see all of the gorgeous artwork from the Technique Junkies Design Team. Start HERE. If you came from the amazing Lynda's blog, you are in the right place! All of the new February 2018 release stamps are 15% off through February 8th, too! Just add them to your cart and they will be automatically discounted at checkout. Hopefully you picked up a TJ designer code from the hop, too, so that you can take 10% off of everything else in the store. Ready for a bit more inspiration? This is very simply colored using Studio 71 Alcohol Markers. Does it make you smile, just a little bit? 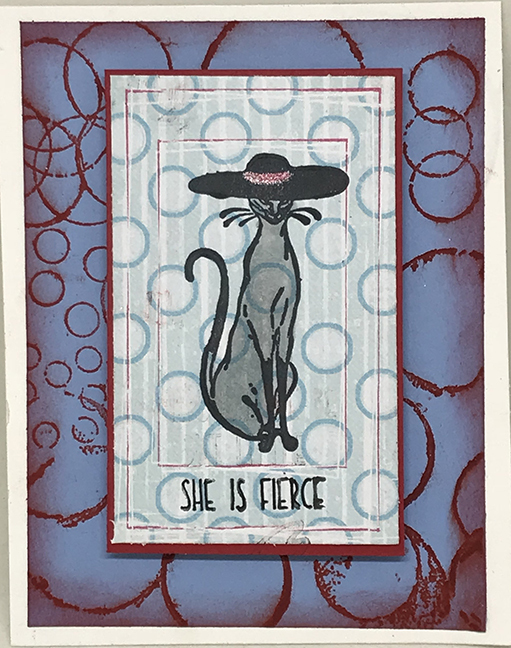 My pretty kitty was stamped onto printed paper, then colored with markers. 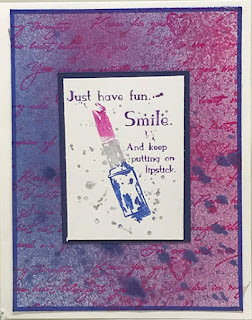 I layered that over the Paint Rings stamp (previously released) that was inked with Lipstick Chalk Ink. 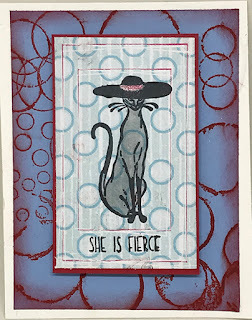 I used my MISTI to extract the "She is Fierce" section of the sentiment from the She is Fierce stamp. 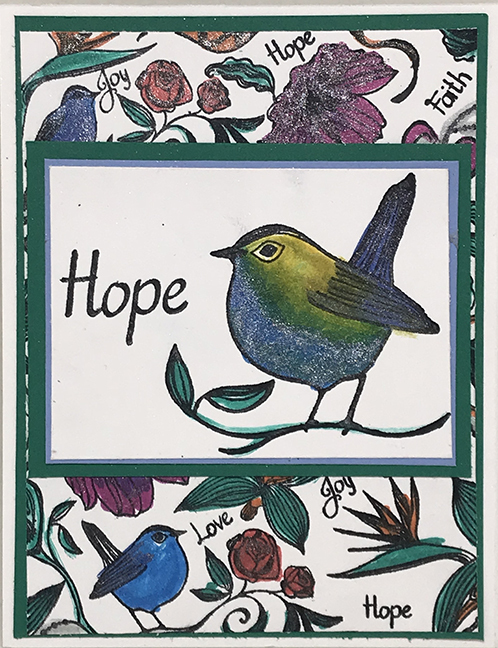 Have you seen the Faith Hope Love Bundle? You can get both the background stamp and matching set for over10% off - PLUS the 15% discount you receive until February 8th! 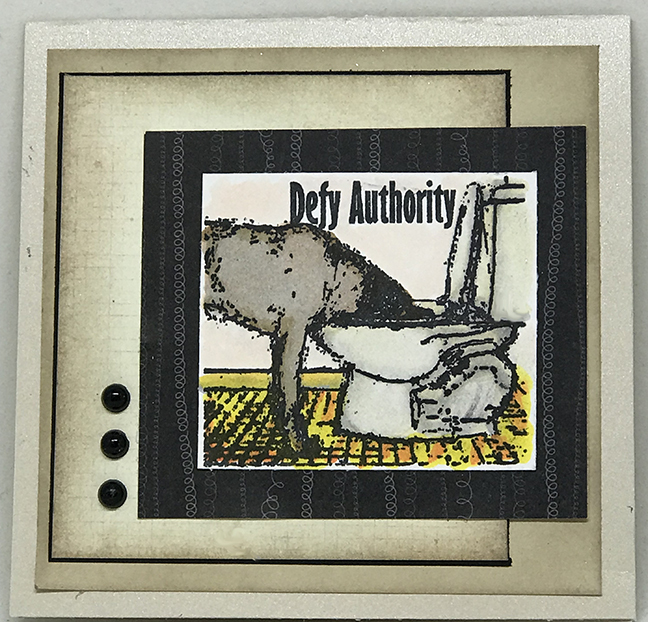 This was layered over the Love Script stamp (previously released), which was oversprayed with Art Anthology Colorations sprays. Thanks for stopping by today! I hope you love these stamps and were inspired by today's hop. Make sure to order the new stamps before February 8th to get the 15% discount, too!